Not knowing where your network begins and ends can lead to major vulnerabilities and gaps in your security efforts. 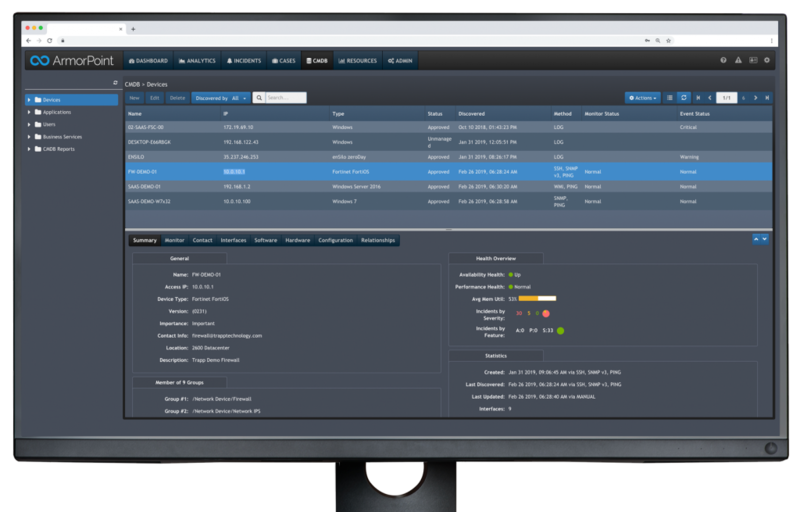 ArmorPoint’s automated asset discovery capability allows companies to automatically detect each and every endpoint connected to the network–from servers and firewalls to personal computers and handheld devices–so you can quickly fill security gaps and thoroughly protect the entire network from edge to edge. Each network device discovered by ArmorPoint receives around-the-clock event correlation and log monitoring. That means if any anomalies, abnormalities, and/or threats related to those endpoints are detected, you or our team are notified of the threat(s) and can take the immediate actions necessary to address the issue without hesitation. From data centers to smartphones, ArmorPoint analyzes the behavior and use of each and every device on the network to automatically detect unauthorized activity and protect against potentially fraudulent or wrongful use.